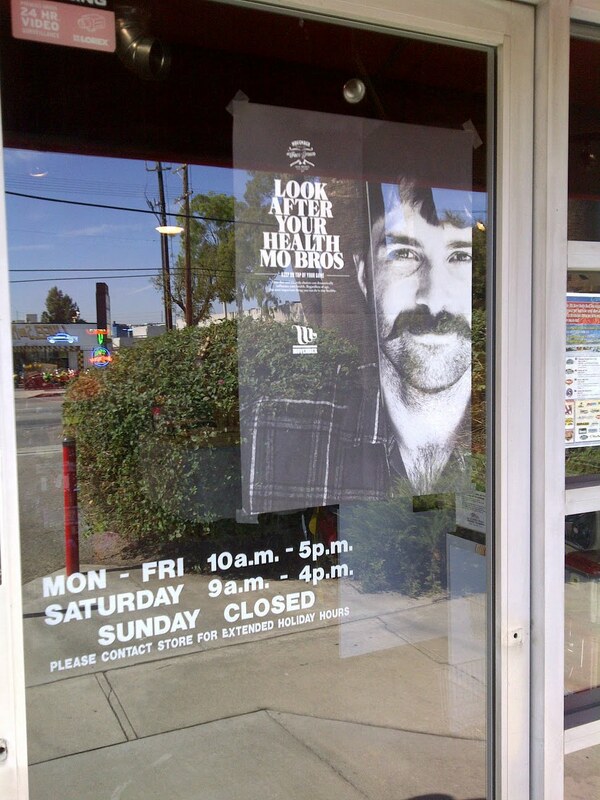 For the past few years, California Car Cover has been a proud supporter of Movember. We can usually count on a few sales associates to start growing a mustache for a good cause. Movember raises awareness about men's health, specifically prostate cancer. You can get more details on their website. We have some special promotions that will be running all month long for customers that support Movember. Love California Car Cover? Show your support. 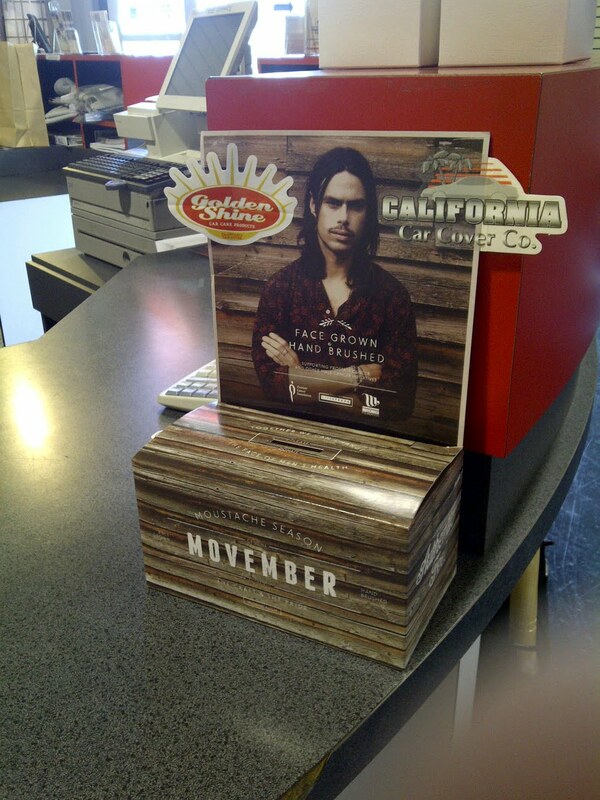 For $1 donation to Movember, you will receive a California Car Cover and Golden Shine decal for your car or garage. They are in our showroom ready to pick up. We will be matching any money collected during the month. Also, any walk-in customer that is growing a mustache for Movember or already has an awesome mustache will receive 10% off their in-store purchase. The Catch: Let us take a photo of you and your mustache for this blog to promote Movember. We know people can be bashful (even if you are growing a mustache all month), but it is for a good cause. "Movember is a lot of fun for our employees and friends. Plus, we get to give back and offer a discount to our 'stache loving customers. 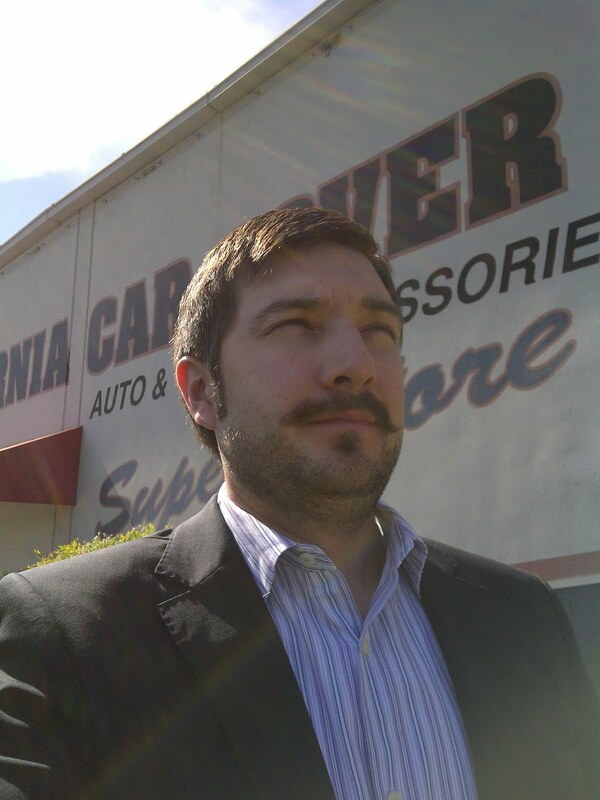 We're glad to show off some interesting facial hair all November in support of the event," says Tony DeFrank, California Car Cover's Executive Director and Mustache Owner. For more details on California Car Cover, please visit us our website or on Facebook. To make a donation, please visit the California Car Cover Mo Page.